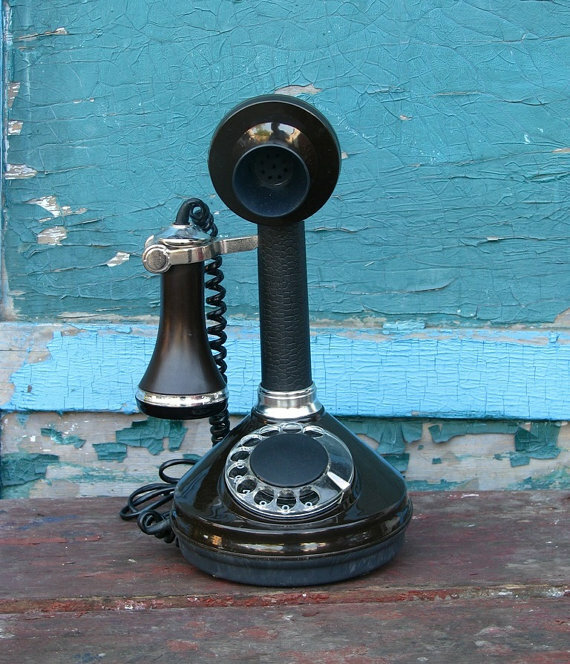 Have you ever thought how the telephones first came into being? Smart-phones, vintage phones, and online communications systems may be something that we are accustomed with, but they are the results of years and years of discoveries and experiments. People have felt the need to communicate with one another since ancient times. The most primitive methods of sending a message were by beating the drums, but this was only used at the dawn of time. During the late 1700’s, Claude Chappe created a semaphore network in order to make communication easier. It was only 137 years later that the first electrical telegraph was discovered and patented in the United States by Samuel F.B. Morse. You are probably familiar with the name “Morse”, because it describes one of the first codes used for long distance communication. By the time of 1863, Johann Phillipp Reis successfully presented his electrical voice transmission system. Nevertheless, Reis’s invention was designed with the sole purpose to demonstrate the nature of sound, and it had yet to find its practical application. It was only a few years later (1876 to be more precise) that Alexander Graham Bell patented the first operational telephone. Nowadays, we have the Internet, we have intuitive smart-phones, desktops and tablets, but all of this would not have been possible were it not for the efforts of the inventors mentioned above. Furthermore, when we think of a vintage telephone we imagine an old crank wall phone, but this image is far from the truth. 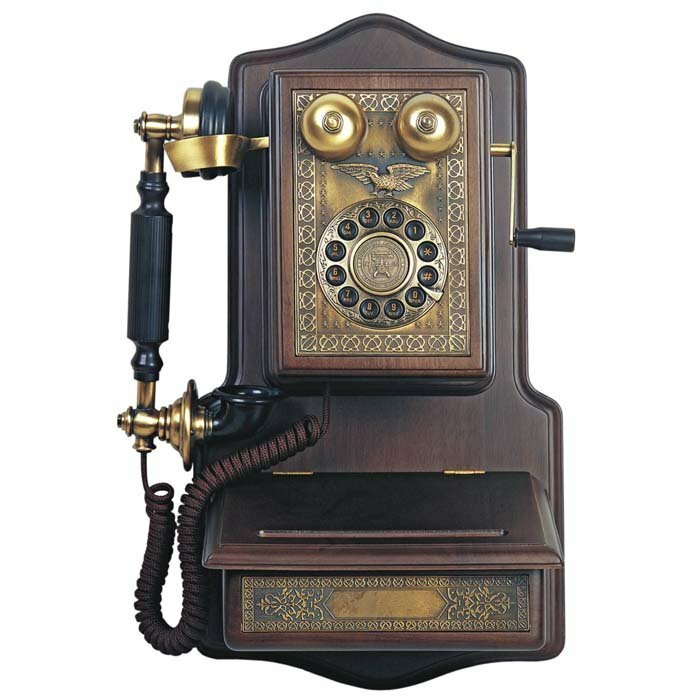 Bell’s first liquid telephone has led to the invention of so many unique and beautiful vintage phones that have become very important in the modern days. As you probably already know, many people have fallen in love with antiques, and vintage phones are among the hottest accessories. 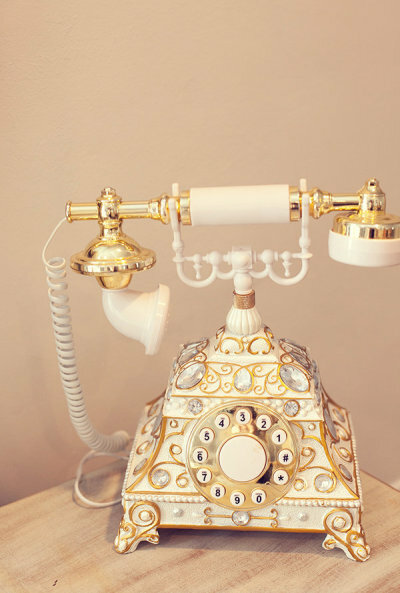 Whether you want to use them as decorations for your beautiful wedding, or simply to invest in your home, here are ten exquisite retro-chic antique phones that you will love. Before we start the cowntown I would like to add that some of the examples are collectibles, while other have been remanufactured for people who wish to adorn their homes with precious jewels (that work!). Back in the time when I was growing up, my parents had set up a dial telephone, and one of my favorite activities was to spin the wheel and make prank calls. 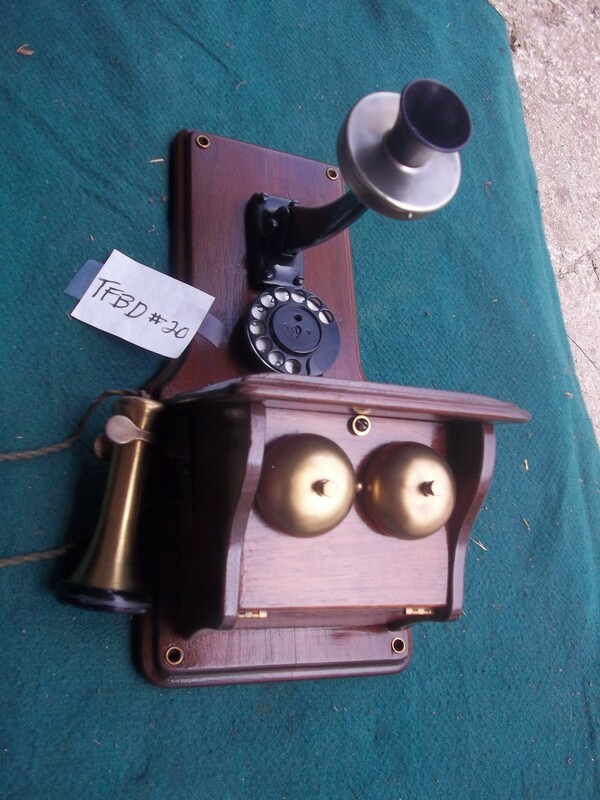 It is true that nowadays I am using my smart-phone, and this makes abusing a dial wheel impossible, but if you are into antique phones, then the Yeoman models are something you should definitely take a look at. The Yeoman 8746 which was manufactured for a very short period in the 80’s is an extremely rare collectible. 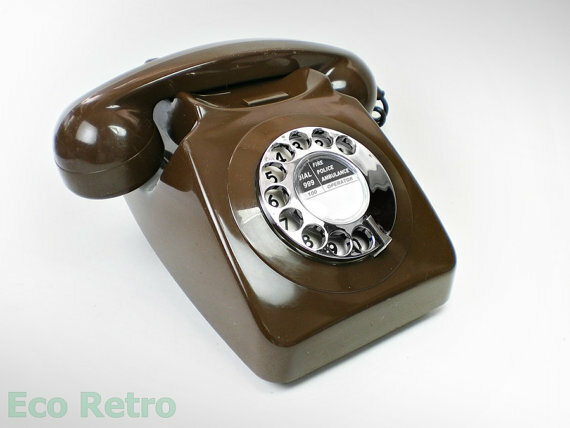 It is similar to the traditional GPO telephone from the 70’s with the great difference that it was manufactured in brown. The piece may not have the same quality as a modern phone (it is 30 years old so it figures), but some people might want to add it to their collection. Our number two contender is a wonderful vintage rotary phone that dates back to the 1950s. It is one of the first phone models to be created. 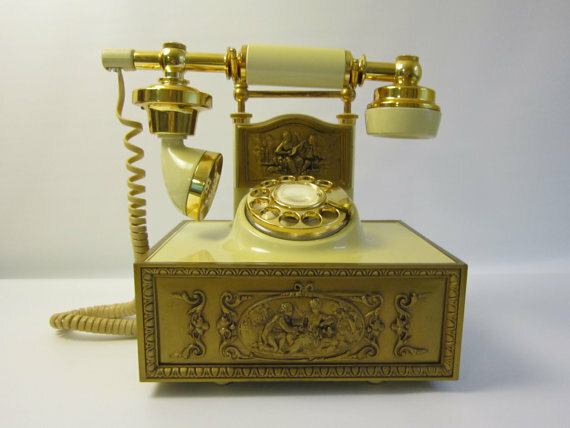 This particular piece, is made from black and gold toned metal, and a gold colored rotary dial. Furthermore, the mouthpiece is made from a dark-colored Bakelite that can be hanged on a metal hook. As far as the bottom of the phone is concerned, it is protected with an enameled metal, and glossy plastic. This unique collectible will add a great analog flair to a digitized world. 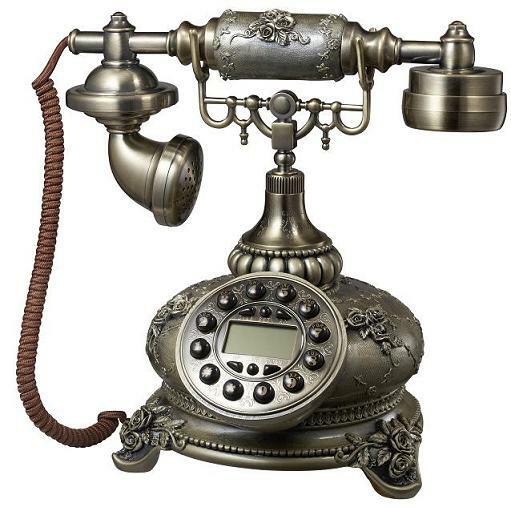 This Antique desk phone reproduction may be a replica of the original phone, but it is still a superb decoration to have in your house. As a matter of fact it is much more than a simple decoration, because it actually works. It comes equipped with a few features like last number redial, handset and ringer volume. The model is property of the Eiffel Tower decorator phone collections, number 1892E. As far as materials are concerned, this vintage phone is made from plastic and black metal. The Art-Deco movement has generated many changes in perception in different fields like architecture, arts, and interior design. Who would have thought that we would ever find a vintage telephone model that evokes the spirit of the Art Deco current so precisely and beautifully? This particular model is an exquisite example of refinement and it is made from real marble. This makes it extremely heavy, and obviously, one of a kind. The stone used for it is unlike no others, and the attentive detailing on it make it a worthy collectible for passionate people. I have found this particular model while browsing different websites for wedding dresses and other girly things. I have found this particular phone on StylemePretty, and to be honest I am not 100% sure if it is truly the model I mentioned. What I do know is that it is definitely a hand-made reproduction that was designed in the spirit of the Art deco movement. The pearly white handle, mouth piece and body is complemented by the delicate golden details and the crystal-like gems. All in all it is definitely a beautiful piece that would revitalize a vintage décor. Remember the image that comes to mind when you think of old phones? This particular model is probably the closest thing to your imagination. 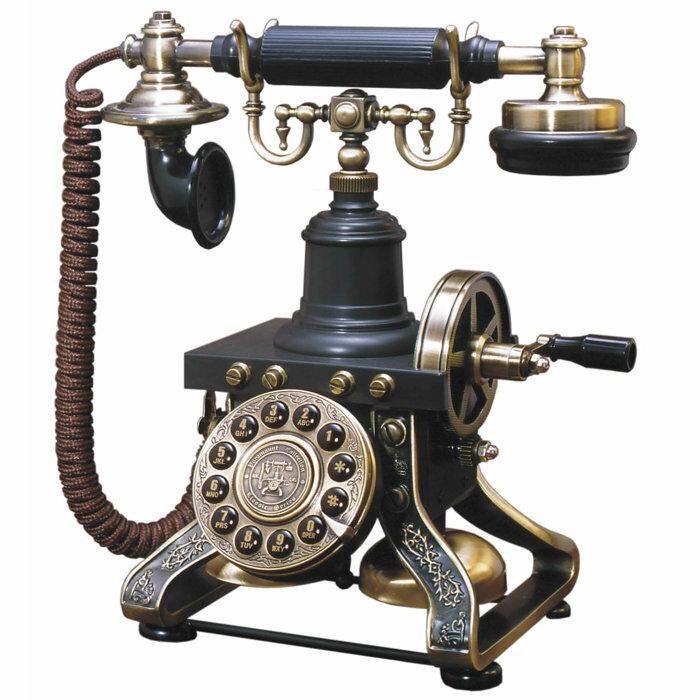 It is another reproduction that is reminiscent of the former Paramount Antique wooden phones. As you can see from the picture it has a rotary dialing in push button fashion, and a set of exquisite metal accents that were carefully detailed. To make things even more interesting, it also comes equipped with a compartment for storing pens and notepads. As far as materials are concerned, the Wooden Crank-Style phone is made from precious wood, metal and plastic. It is true that our seventh contender is a replica, but this doesn’t mean that the phone isn’t worthy of your attention. 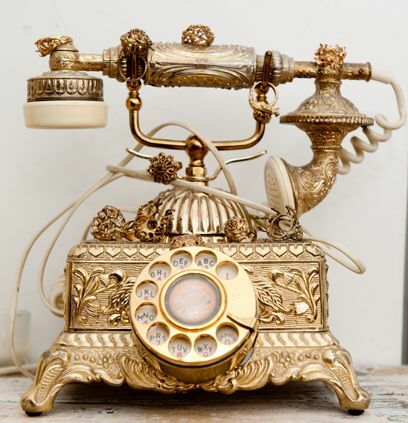 This vintage telephone is made from hand-carved, hand-painted wood grain and excellent copper platting and gold plating. According to the producers it can withstand several years without losing any of its unique antique feel. Considering that it is actually a modern phone, you should not be surprised that it has electronic lightning protection, stealing dial protection, auto area code setting and callback options. This example is very similar to one that was already mentioned above, but I have chosen to rank it higher for the simple fact that it is a 1990 model which was made to look like a vintage phone. Its unique dark brown color with a silver trim adds to its retro appearance, and the phone is actually fully functional. 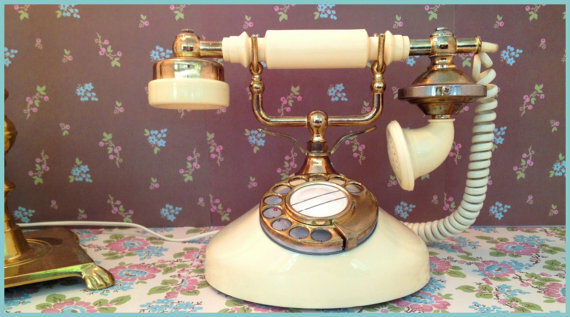 It can be used as a neat decoration for an office or home, or as a sophisticated phone for people who are passionate about vintage designs. This wonderful 1970’s rotary cradle telephone may seem very similar to some examples mentioned above, but it has something truly unique about it. First of all, the body has the shape of a box that has been heavily decorated with plastic gold relief panels. On the bottom it has an American Telecommunications Corporation sticker, the phone itself is approximately 8x6x9 inches, and it could be an excellent decoration for a romantic or chic décor. This Ericsson vintage phone is too beautiful to describe in words. Sure, it doesn’t have any detailed incrustations but considering that it dates back to the 1920s, the level of detail on it is truly incredible. This piece is one of a kind, and the thing that makes it truly unique are the two decorative panels that present scenery. It is fully functional, even if it is so old, and it would be a perfect fit for a romantic wooden décor or a vintage interior. After browsing through so many antique phone models I simply couldn’t settle for only ten models, because all of them are so incredibly beautiful. This wooden candlestick in particular, has me hooked. It may also be the magnificent décor in which the photo was taken, but there is something incredibly beautiful about this model. 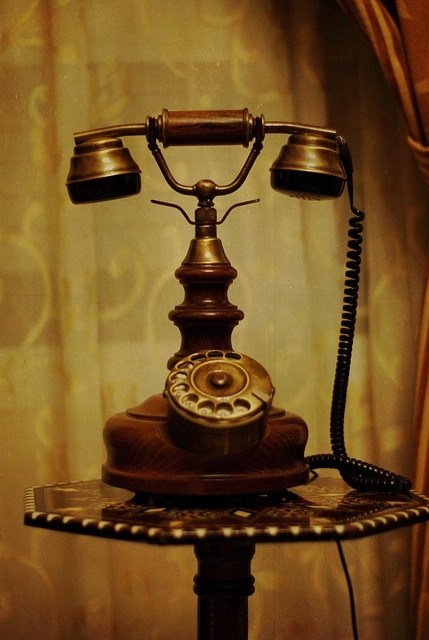 The phone is made from precious wood (which has a curvaceous texture), a gold plated round-dialer and bronze. 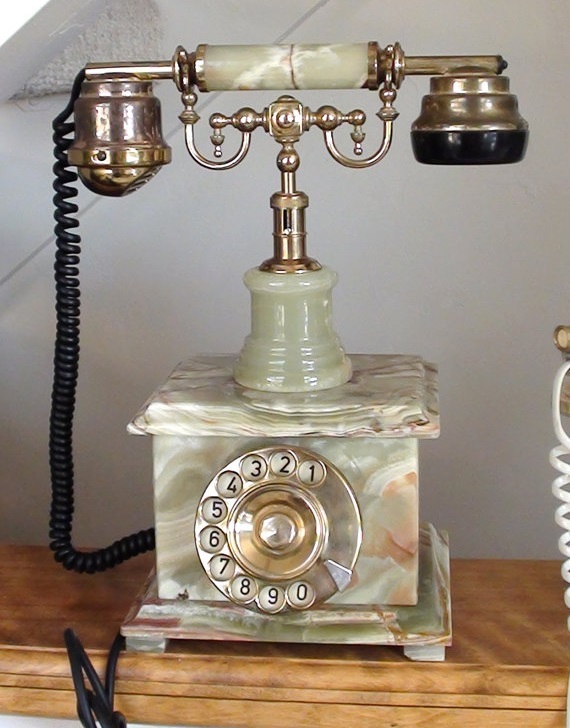 Not too detailed, and not to plain either, this candlestick phone would be a wonderful addition to any décor. Once again, I have no idea who the manufacturer of this wonderful phone is, but I do know one thing: it is breath-takingly beautiful. Smart-phones cannot even be compared to these gems in terms of appearance. Nevertheless, I would like to ask one of the readers to identify the model for me, or else I will stick to the obvious: detailed relief designs present both on the body and on the mouth-piece, refined dialing wheel and a perfect match for old-style interiors. Not the prettiest of phones, but definitely worth a mention, is the TFB-20, an interesting collectible made from oak wood that comes equipped with cabinets. 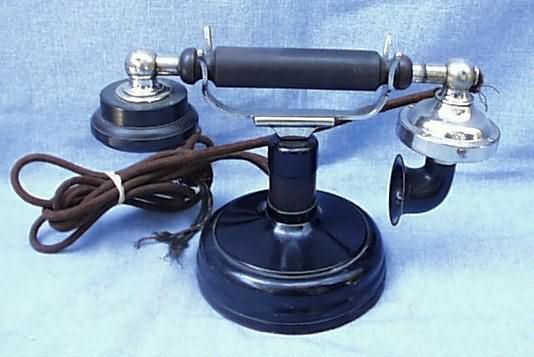 These Fiddleback phones are reminiscent of the first ever phones, and the model seen in the picture is 100% authentic. 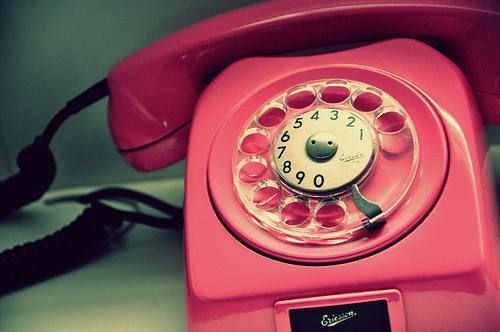 How could would it have been if people decades ago decided to go create pink phones? Sadly this never happened. 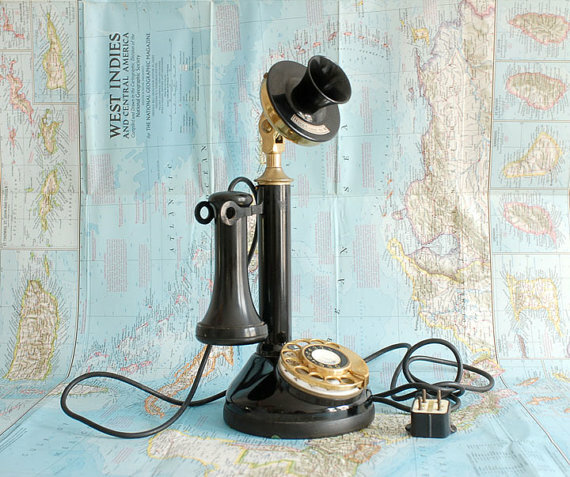 The collectible in the picture is still a great example of retro-chic decoration, that evokes the Yeoman telephone. It is equipped with a round dialer, a mouth iece and pretty much anything it needs to work. Authentic telephones are becoming harder and harder to find, and this makes them even more valuable. The Kellogg presented in the photo is authentic. This model differs from the other ones due to its nickel plating instead of being all black. From this basic model, hundreds of variations have been created and used. Furthermore, the collectible is as real as they get. What do you think about these vintage phones? Feel free to share your thoughts in the comment box below! I can’t believe that all of these phones are usable on today’s lines! They look really vintage cool! I like the old rotary dial style phones! They have a substantial feel to them and I think the are much more comfortable than today’s thin mobile devices. It’s amazing how different phones are now and how far they have come in just a short time. That Ericsson crank phone is really cool! Hey, how much will these cost and where can we buy them from? Also: whats the reason of buying a vintage-phone? I have a modern house, and any of these will not fit…..can I trade them for business? Most of these phones can be found on http://www.etsy.com or other sites dedicated to antique vintage phones and decorations. The prices may range from 30$ do 200$ depending on the type of phone, its age and how well it was preserved. The most expensive one from the ones presented above is number 10, the One of a Kind Sony Ericsson phone. People usually purchase antic pieces to enhance their vintage decors. Also, if your house is modern they can look great as a decoration for the night stand or in the bathroom if. Of course, this depends on the type of house you own. 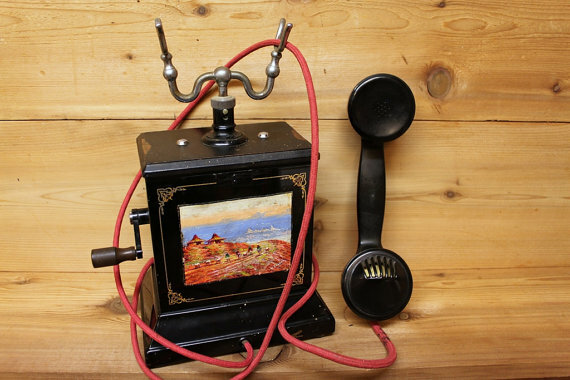 There are many art lovers who trade antic phones online.